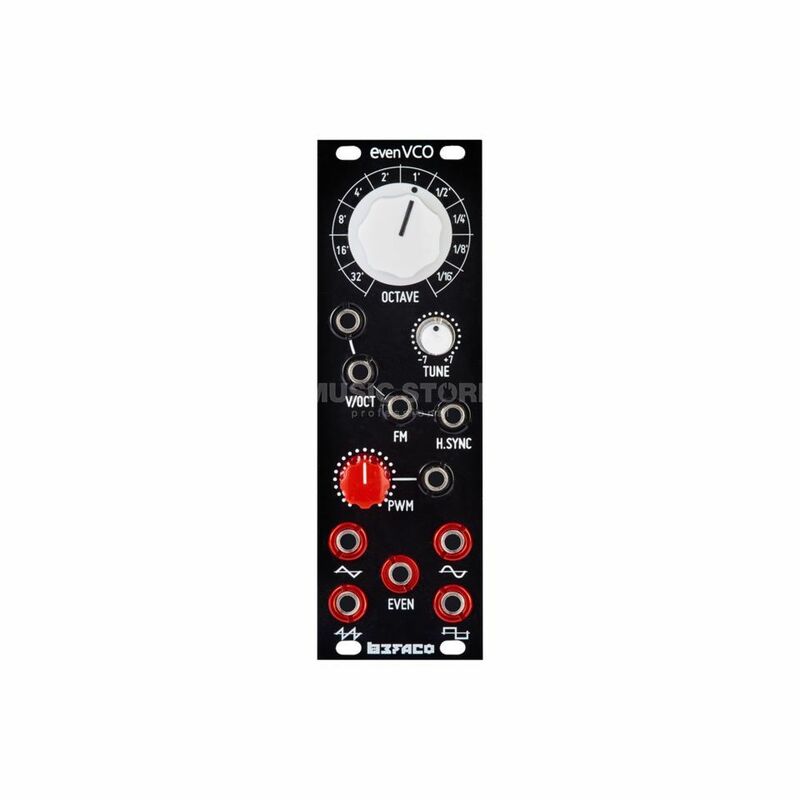 The Befaco Even VCO is an oscillator module for synthesizers in the Eurorack format. The rock solid build of this oscillator means it retains accurate tracking even when the power supply fluctuates. The Even VCO has a 10-digit octave selector knob (C0-C9) and can operate with 1 cent accuracy between C0 -7, 4 cents over C8 and 13 cents above C9. The fine-tuning is done by A potentiometer offers fine-tuning, again over -/+ 7 semitones. 2x V/Oct, Hard Sync and FM inputs are available, as well as a CV input for pulse width modulation. The outputs are sinusoidal, triangular, saw-tooth and pulse waves and a 5th choice "Even", which emphasizes the straight harmonics. Generates Sine Wave, Triangle Wave, Saw-Tooth Wave, Pulse Wave & "Even"